All transactions are safe and secure with a reliable history in online purchasing behind each of our associates. 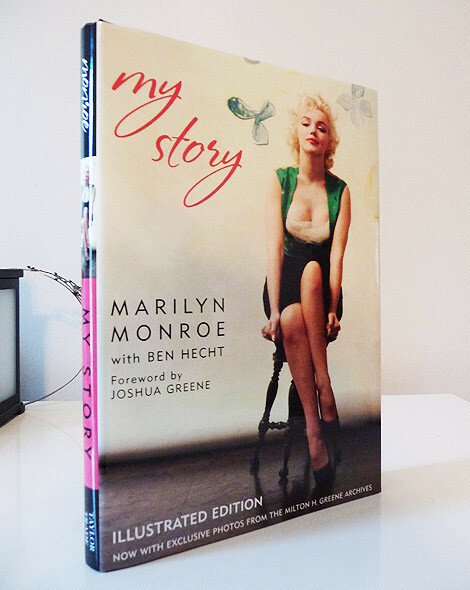 Buy the My Story Marilyn Monroe Autobiography and Books to own Marilyn Monroe clothing and merchandise. Written in her own words, this Marilyn Monroe autobiography offers firsthand insight into the life of one of Hollywood's most glamorous and talented stars. Marilyn not only shares accounts of the good and bad experiences that she had as a child, she offers a captivating account of her desperate desire to be a star, from her years as a bit player to her life as a Hollywood powerhouse. She candidly dishes on her personal relationships and her feelings about men, including baseball great Joe DiMaggio. In addition to the My Story Marilyn Monroe Autobiography and Books above, browse the Marilyn Monroe Clothing Gallery for more apparel like men's and women's clothes, kids shirts or hoodies.